Xiaomi has launched its most affordable smartphone till now named Redmi Go. The phone was launched on March 19, in India, but its first official sale will start today on Flipkart and Mi.com from 12 noon. The Xiaomi Redmi Go runs on Android Go and it was announced by the company back in January. The device packs a 3,000mAh battery and comes with support for more than 20 Indian languages. The Redmi Go comes with Google Assistant support in Hindi as well as Hinglish (Hindi + English) languages and the device is aimed at the first time Android users. 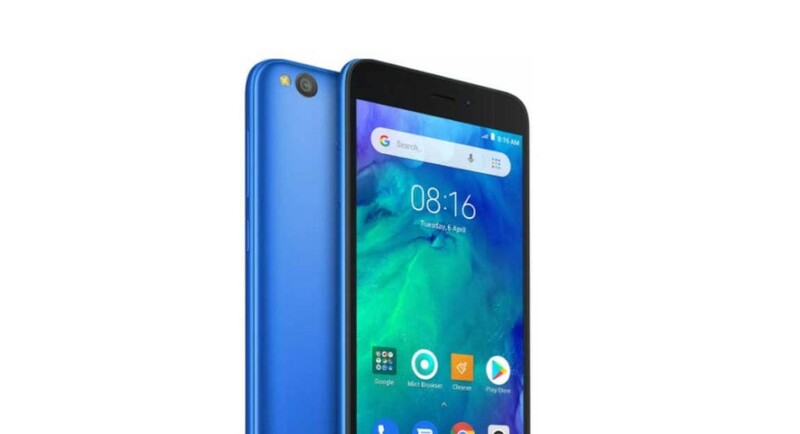 Xiaomi Redmi Go will start selling from 12pm on Flipkart, Mi.com and Mi Home stores today, 22 March, 2019. Users can click the ‘notify me’ button on Flipkart to know about the availability of the device. The Redmi Go carries a price tag of Rs 4,499 for the 1GB RAM and 8GB storage variant. The 1GB RAM and 16GB storage variant hasn’t been launched in India yet. The Redmi Go launch offers includes Jio Cashback up to Rs 2,200 and up to 100GB of free data. Flipkart will also be giving no-cost EMI options with the purchase of the device and there is an extra 5 percent off on its original price if purchases with Axis Bank Buzz credit card. The Xiaomi Redmi Go sports a 5-inch HD (720 x 1,280 pixels) resolution display. The smartphone is powered by a quad-core Snapdragon 425 SoC and it has Adreno 308 as its GPU. The Redmi Go comes with 1GB of RAM coupled with 8GB of inbuilt storage and microSD card support up to 128GB. The device runs Android 8.1 Oreo (Go edition) and packs a 3,000mAh battery. For photography, the Redmi Go has an 8MP rear camera with 1.12-micron pixels with f/2.0 aperture and LED flash. While at the front, there is a 5MP selfie camera with 1.12-micron pixel sensor and an f/2.2 aperture. According to the company, the Xiaomi Redmi Go’s camera comes with features such as full-HD video recording, HDR, real-time filters and smart scene detection. The users of the device will also get unlimited storage on Google Photos in HQ resolution. Other features of the Redmi Go includes 4G VoLTE, Wi-Fi 802.11 b/g/n, Bluetooth v4.1, GPS/ A-GPS, Micro-USB and a 3.5mm headphone jack. Its dimensions are 140.4×70.1×8.35mm and the device weighs 137 grams.